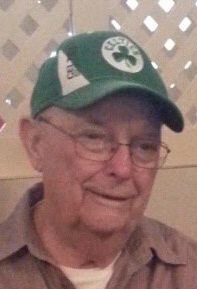 Carl A. Wunschel, Sr., 88, of Linwood Drive, Coventy, RI, passed away on Saturday, March 24, 2018 at the home of his son Kevin, Andrews Avenue, West Warwick, RI. Born in Pawtucket, RI, he was the husband of the late Bernadette G. (Lavigne) Wunschel and the son of the late Anton J. and Alice (Robert) Wunschel. Carl worked in shipping and receiving for Mays, Marshall & Meier for five years until retiring in 1986. Prior to that he worked for National Bottle, formerly known as Star City Glass, Coventry, RI, for fifteen years. He was a US Air Force Veteran serving in the Korean War. His hobbies were photography and motor cycling. Carl is survived by four children; Carl A. Wunschel, Jr. and his wife Donna, Heidi A. Stevelmans, Mark W. Wunschel and his wife Donna and Kevin N. Wunschel and his wife Lisa, nine grandchildren; Shannon, Bonnie, Jennifer, Michael, Shane, Christy, Carl, Pamela and Justin and fourteen great grandchildren. He was predeceased by a brother; William “Pete” Wunschel, three sisters; Irene Russel, Lillian Dexter and Dorothy Dugal and a son in law Andre Stevelmans. A funeral service will be held on Monday, April 2, 2018 at 9:00 am in the Gorton-Menard Funeral Home & Crematory, 721 Washington Street, Coventry, RI, with a Mass of Christian Burial at 10:00 am in Ss. John & Paul Church, 341 South Main Street, Coventry, RI. Calling hours will be held on Saturday, March 31, 2018 from 3:00 to 6:00 pm. Burial with Military Honors will be in the RI Veterans Memorial Cemetery, Exeter, RI.